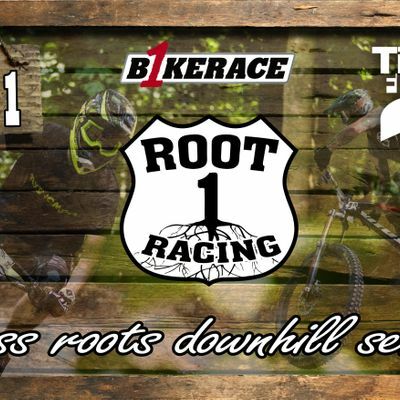 Round 1 of the 2019 Root 1 Racing series, held at Tidworth Freeride B1kepark. 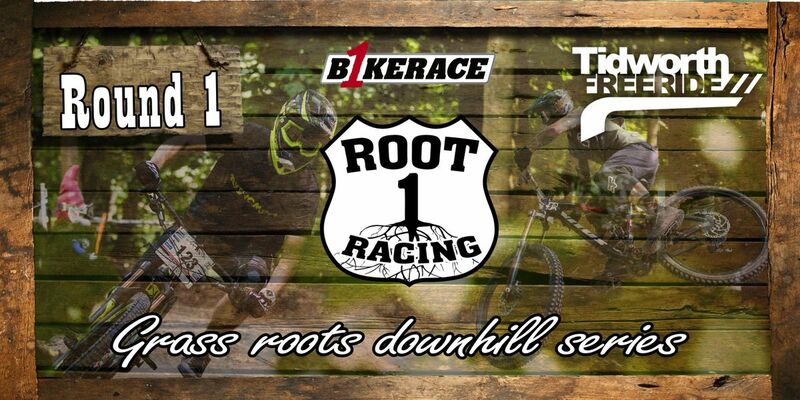 Root 1 Racing is a great way to try DH racing for the first time in a friendly and relaxed atmosphere. For 2019 the series has spread it's wings across the B1kepark network and grown to 5 rounds. Each round of the series will be held on a fun, short track which is entirely rollable but still poses enough of a challenge to provide tight racing and a more experienced racers. With extra categories for riders in certain age ranges competing for their first race/season (novice) along with the Rippers through to Grand Veteran categories you're running out of excuses not to give DH racing a go. Entries for Round 2 will be availible from 6am March 25th. Race entry cost is £30. A limited number of series entries are available with a 10% discount. B1ke Full Members recive a 10% discount on race entries. Please email your name and B1ke membership number to bmVhbCB8IGIxa2UgISBjb20= to recive your discount code prior to booking. We are unable to refund unclaimed discounts after purchase. All prices include booking fees and VAT. All riders are required to wear a securely fitted full face helmet. Riders 14 and under are required to wear knee pads and gloves. It is highly recommend that all riders regardless of age or ability wear appropriate additional protective equipment ie; back protector, knee/shin and elbow pads, goggles, gloves ect. Bikes must have wheels no smaller than 20" (minimum wheel size limit rather than age). Bikes must be fitted with both front and rear brakes and handle bar plugs. Bikes must be capable of off road competition use and maintained to a safe working order. Do I need to be a member of B1KE? In short, no. The rippers category is normally for riders 10-12 yrs of age, but as riders abilities can vary regardless of thier age we have removed the minimum age limit for the Root 1 Races. Instead there will be a restiction on the minimum wheel size (20 inch) that can be used. Please note, all riders 14 and under must wear knee pads and gloves. What protective clothing and equipment do I need? All riders are required to wear a securely fitted FULL-FACE HELMET. It is highly recommended for riders to also wear a back protector, knee/shin and elbow pads, body armour, goggles and gloves. Riders of fourteen years of age and younger are required to wear knee pads and gloves. Root 1 races are downhill individual time trial events. Riders are required to complete at least two practice runs prior to two timed runs (race), fastest time counts. The series is made up of 5 rounds, held across the B1kepark network (Tidworth Freeride, Rogate DH, Wind Hill) with points from each counting towards the overall title. Points are awarded to the top ten riders in each category, 1st place = 10 points through to 10th place = 1 point. Only your 4 best results will count towards the overall so you can drop 1 round. In the event of riders being tied on equal points the rider who gained their points from fewer rounds will be placed higher (Rider 1 = 8 points & Rider 2 = 3,3,2 points, then Rider 1 will be placed higher). For riders locked into a dead heat the lalest result will be used (Rider 1 = 10,9,8 points & Rider 2 = 8,10,9 points, then Rider 2 will be placed higher). Who are the Novice categories for? Along with the Rippers category the Novice Senior+ Women and Senior+ Novice Men categories are the essence of Root 1 Racing. These novice categories are for riders competing in their first race/season. If you enter novice you will be able to complete the 2019 series in the same category and compete for the overall. If you entered novice last year you are expected to be sporting and enter your relevant age category. Where and when are the other rounds? Do I need a downhill bike? No you don't need a downhill bike to go downhill fast on the tracks used for Root 1 Racing. A enduro/trail bike or hardtail is suitable. Why can't I find the Hardtail category? That would be because there isn't one in the Root 1 series. We have dropped the hardtail category to make way for extra novice categories and with the nature of tracks used a hardtail could be seen as an advantage in some sections. No, the sites aren't the biggest and can be walked up in 10-15 mins. Can I practice the track before race day? 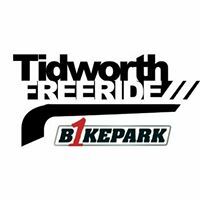 Yes the track for round 1 will open before the event and can be practiced during normal opening hours (please refer to https://www.facebook.com/tidworthfreeride/ for our current opening times). The track will be announced shortly. Rollable is a term used to describe a trail or trail feature that can be ridden without your wheels leaving the ground. ie No gap jumps or significant drop-offs without a alternative rollable route. Can I ride the other trails between race runs? No the rest of the B1kepark is closed on race days. This is to avoid any potential incidents which may force us to stop the race. Yes helmet cameras are permitted at B1KE races. What cover does my B1KE membership provide whilst racing? Your B1KE membership gives you third party insurance whilst riding or racing at any of the B1keparks only. It will not cover personal injury or loss. Riders should consider taking out suitable personal cover. No, Root 1 Racing is open to all riders and is independent of British Cycling. Can I bring spectators along? Yes, please do bring your family and friends, but most importantly bring some noise. Spectators and support for the competitors are positively encouraged and entry is free. Can spectators take pictures and video of the race? Yes of course you can. However if you are looking to sell images please refer to section below. If you are a commercial photographer (anyone looking to sell images) who wishes to attend our event we obviously welcome the coverage, however we will need to see your certificate of public liability insurance and you will be required to follow our on site media policies. An intent of attendance and certificate of insurance can be sent to bmVhbCB8IGIxa2UgISBjb20= no later than 3 working days before each event. You are welcome to bring your own food and drink but you'll find it hard to resist the temptation of the buger van who will be on site serving up delicious hot food all day. Parking on site at Tidworth Freeride is limited and therfore reserved for staff and competitors. Please car share wherever possible. Once the car park is full you will need to park on the tank crossing (EE) 200 meters to the south and use the footpath across the field to access to the site. Please DO NOT PARK alongside the ROAD, or in the FIELD. Is it OK to bring cakes and biscuits for the marshalls and timekeepers? Oh that's very kind of you to offer. Thank you, I'm sure they would love that. Refunds are available 30 days prior to the event. Please see Parking section above. B1KE reserve the right to delay, reschedule or cancel an individual round of or the entire 2019 Root 1 Racing series. In the event that the race is rescheduled or cancelled, circumstance depending, B1KE will endeavour to transfer entries to the next available race or provide a full refund but can not guarantee this will always be possible. B1KE reserve the right to remove an individual from the event, prior to or during without reason or refund. B1KE take no responsibility for any loss or damage caused to personal or public property.